Seizure of $24k owned by brother of ex-bankruptcy manager of Rosneft subsidiary upheld | Russian Legal Information Agency (RAPSI). MOSCOW, May 14 (RAPSI, Nikita Shiryayev) – The Moscow City Court on Monday upheld a lower court’s ruling to seize 1.5 million rubles ($24,000) belonging to a brother of the former bankruptcy manager of a Rosneft subsidiary Oleg Smetanin charged with embezzling 300 million rubles ($5 million), RAPSI reports from the courtroom. Defense lawyer Eduard Geraskin claimed that Oleg Smetanin had legally transferred the money to his brother’s account and had a right to manage the funds in his own discretion. Moreover, according to the attorney, investigators have not proven that the seized funds belonged personally to the accused and were obtained by criminal means. A lawyer of Alexander Smetanin in turn said that her client had no procedural status in the case against his brother and he was not properly informed of considering investigators’ motion to seize his assets. Oleg Smetanin confirmed that he transferred the money to the account of his brother for attorney fees. But the Tagansky District Court of Moscow seized the sum significantly outweighing the transfer amount. However, the Moscow City Court dismissed appeals filed by the defendant and his brother. 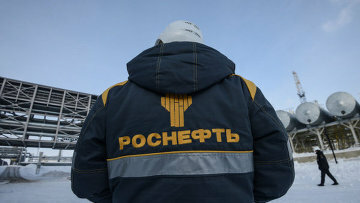 Investigators believe that Oleg Smetanin and ex-advisor of Rosneft vice president Sergey Bogdanov have forged some documents; as a result, a paper debt amounting to 3.2 billion rubles (about $57 million at the current exchange rate) was registered with a Rosneft subsidiary. According to Russia’s Interior Ministry press-service, the defendants used the forged documents to transfer 300 million rubles to the accounts of a dummy company. Later, they cashed out and embezzled the money, the press-service noted. 16:42 14/05/2018 The Moscow City Court on Monday upheld a lower court’s ruling to seize 1.5 million rubles ($24,000) belonging to a brother of the former bankruptcy manager of a Rosneft subsidiary Oleg Smetanin charged with embezzling 300 million rubles ($5 million). 13:13 26/04/2019 Moscow’s Sherbinsky District Court on Friday dismissed a lawsuit filed by prosecutors against paid flight check-in set by Russia’s Pobeda air carrier for departure from foreign airports. 11:27 26/04/2019 Prosecutors have forwarded a 14.5-billion-ruble embezzlement (nearly $225 million) case against ex-top managers of the Bank of Moscow to court for the trial in absentia. 12:04 26/04/2019 Moscow’s Meshchansky District Court will pass sentence upon Viktor Zakharchenko, the father of an infamous former Russian anti-corruption official charged with corruption crimes, on April 29.